HOCKLEY, Texas – As match play is the format that decides the national championship, the Big 12 Conference joined a growing number of conferences in adding the format to its league play. Thus, the first ever Big 12 Match Play Championship will be held next Friday through Sunday, Oct. 12-14, at The Clubs at Houston Oaks. The conference will still play a 72-hole stroke play championship in the spring, but this will be an official event awarding Big 12 championship rings. The 10 golf members will be split into two five-team pools and each team will play one match against the other four teams in its pool over the course of the first two days plus Sunday morning. On Sunday afternoon, the two teams with the best records will square off. Could that be No. 1 Oklahoma State against No. 2 Oklahoma in what many hope could be a preview of the NCAA Championship next spring at The Blessings in nearby Fayetteville, Ark.? 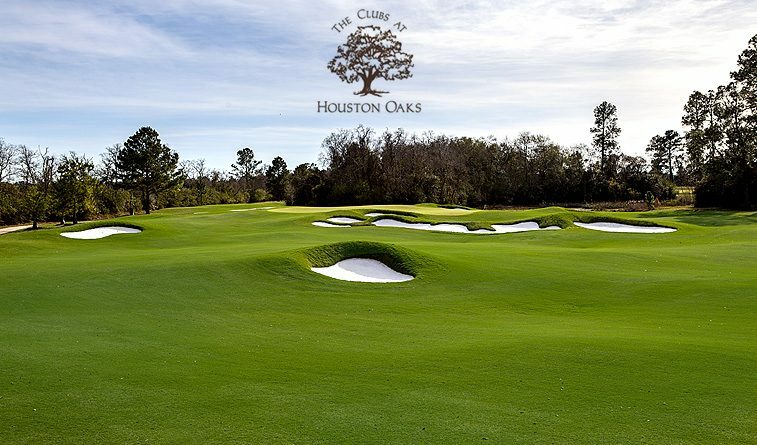 Oklahoma State coach Alan Bratton said The Clubs at Houston Oaks, which begin its golfing life nearly a half century ago as a humble company recreation course, should be a great venue for the event. The course is owned by Oklahoma State alum and oilman Chuck Watson, who pumped close to $70 million into a renovation that included architect Chet Williams’ complete upgrade of the golf course. Williams said while he didn’t know the Big 12 would hold a match play tournament when he designed the new course, he wanted a course that could be played a lot of different ways, including match play. Baylor and former Oklahoma State golf coach Mike McGraw said the discussions on having a match play championship as several other conferences do had been several years in the making. “Now we can hold two conference titles, one in the fall for match play and one in the spring for stroke play,” McGraw said. Each team will start six players so between the guaranteed five rounds for six players, the teams are getting more players on the course and more rounds in than at a normal collegiate event. Of course, Williams also worked with plenty of the huge namesake Oaks at the course, some of which had been there for decades, to give the course its unique character. He shifted some of the fairways to bring more scenic views and offer more shot values into the golfing equation.